Attract beautiful wildlife to your yard with birdseed for all types of birds. The type of food you provide will attract different species of birds. Black oil sunflower seeds are the most popular food for many types of birds as they have a high energy content. The species they attract include cardinals, chickadees, sparrows, finches, titmice, woodpeckers, grosbeaks, and jays. 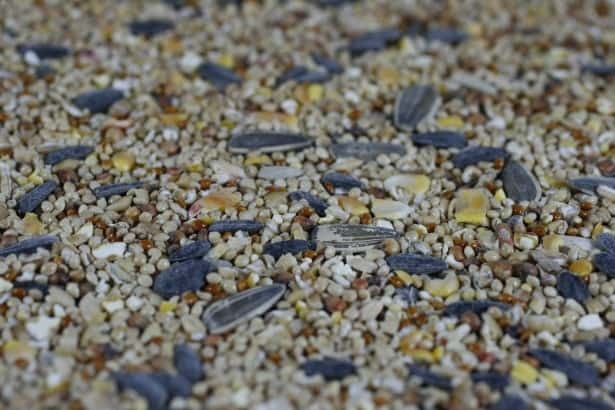 Striped sunflower seeds attract birds with a slightly stronger beak for breaking the harder shell. Cardinals, jays, and grackles like these seeds but will eat them last if there are other options. Nyjer seed is mainly for many small birds, including siskins, goldfinches, redpolls, and juncos. This high energy seed suits their smaller beaks and little is wasted. Thunder Bay Co-operative Farm Supplies was established in 1952 when a group of Thunder Bay area farmers agreed to combine their buying power to receive better pricing on seed, fertilizer and other products. 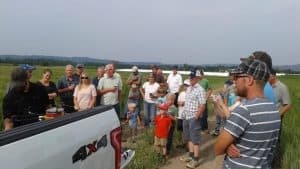 Since then, the Co-op has been opened to the public and begun expansions in order to better serve farmers, home-owners and seasonal residents in Northwestern Ontario. When you become a member of the Thunder Bay Cooperative Farm Supplies, you are an owner in this business. We Are Northwestern Ontario's Largest Supplier of Metal Roofing! Thunder Bay Co-op is proud to be one of the largest distributors for Ideal Roofing in Northwestern Ontario.